The narrative of the film is pure chaos, which is a fitting way (and perhaps the only way) to truly capture the essence of Rammstein’s power. The film begins with a grainy shot of a catwalk being lifted down between the main stage and a smaller square stage set up in the middle of the audience. Then, Rammstein begins their long walk from the back of the Bercy Arena to the stage, skirting in between the throngs of audience members all while being led by a torch carrying Oliver Riedel. Eventually they make their way across the catwalk and onto the main stage as Riedel lights a massive cauldron on the side of the stage. Rammstein wastes no time ripping into the opening track, the lumbering “Sonne,” all while being flanked by a seemingly endless supply of fireworks and explosions. Every single song that was played during the show featured some different combination of lights, flames, fireworks, explosions, and costume changes, with frontman Till Lindemann undergoing a great deal of changes throughout the film. The setlist was comprised of songs from each of Rammstein’s studio albums, with a few deep cuts from their early albums thrown in such as the bludgeoning “Wollt Ihr Das Bett In Flammen Sehen?” Of course, it should be noted for the uninformed out there that Rammstein songs are sung almost entirely in German, with Lindemann belting out the vocals in his trademark baritone. This made for an interesting dynamic as the rabid audience of 17,000+ fans sang along to almost every song, particularly during the band’s most well-known song, “Du Hast.” The song is based around a series of hard hitting and mechanical sounding guitar riffs, played in tandem by Paul H. Landers and Richard Z. Krupse while keyboardist Flake overlaid a subtle synth line before going into its well-known and powerful chorus. It was incredible to see and hear the whole audience chanting the chorus line in unison, and it was yet another powerful moment in a movie filled with them. Perhaps the most important part of any concert film is the music, specifically the mixing and mastering of the show, which is done masterfully here. All the raw power and ferocity of a live Rammstein show is on full display, which helps to greatly enhance the overall viewing experience. 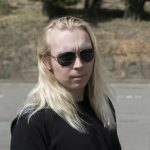 The drum sound of Christoph “Doom” Schneider really stands out, combining the right portions of frequencies to give the band it’s booming bottom end. For those who are not already fans of Rammstein’s over the top lewd spectacle, all of this may be too much. The frequent editing and cutting can be headache-inducing for some in addition to the massive sensory overload. From a musical standpoint those who do not like heavy metal will also have a hard time finding something to like, particularly if they do not have a fondness for German. However, for the legions of Rammstein fans, this film is pure magic and it totally delivers one of the most unique and interesting concert experiences of all time. One must appreciate the sheer gusto required to pull off a performance of this magnitude as it takes a special kind of band to do so. 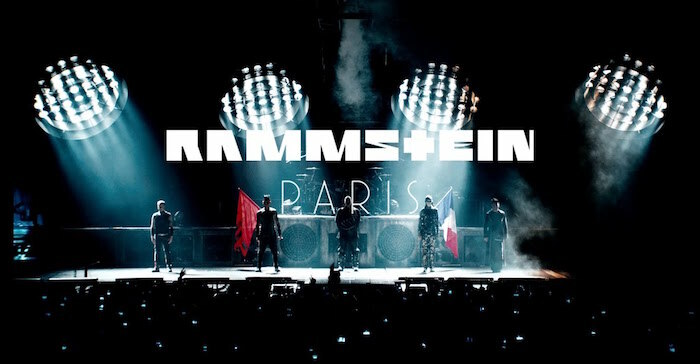 Rammstein: Paris is yet another chapter in an already legendary career and it is one that will surely please their rabid fanbase.